If you are battling a chronic illness, I’d like you to know that I can relate. Worse than the physical pain I carried was my inability to have children. That had me crying myself to sleep many a night. But I was determined to heal. I was not willing to be on chronic medication indefinitely. And I was not willing to give up my dream of being a mom. Something inside me believed there was better for me than what I was experiencing. I wasn’t sure how the answers would come but I was determined to not limp through life this way. the Power of Body Detoxing. I jump-started my Body Detox with coffee enemas. Added to that, for an entire month I only ate foods that nourished and cleansed my body. I fell pregnant, naturally, with my son Luke. Prior to falling pregnant, I’d struggled with terrible stomach pain and had constant abdominal/digestive problems for over 5 years. Twice I’d ended up at the hospital Emergency Room with acute stomach pain. On my second rush to the ER, one of my doctors suggested I take long terms medication to help treat my condition. That didn’t feel right to me. I was 27. And felt that what was happening with my body was not normal. I didn’t fully understand what was going on with my body but I was determined to experience complete healing- even if it meant finding out, on my own, how I was to achieve that. I was in pain often. Aside from being constantly constipated and bloated, my skin was a mess! Eventually the skin on my face became so sensitive it hurt to touch it. I knew all this was because there was something deeply wrong with my digestive system– but no one seemed to have answers for me about how I could fix this. Medicating the symptoms didn’t feel like a solution to me. Some of the treatments I was prescribed made my condition worse! I was grateful for all the help I was receiving but I knew there had to be a solution that cured my problem not just temporarily alleviated symptoms. When I wasn’t at my job I was looking for ways to heal myself. My inner power of desire (something we all have) led me to a nutritionist who treated her patients through detoxing her patients. A lot of what she taught about nutrition I’d learned from my research but then, she spoke of coffee enemas– I had never heard of those before. Unfortunately for me the nutritionist was on the other side of the world and I had no way of reaching her for her treatments. But again, so deep was my desire to heal that I did eventually learn all I needed to know about coffee enemas to jump-start my healing. I researched more about body detoxing and begun to follow a detox diet. Along with that I started to apply my new found knowledge of using coffee enemas. My first coffee enema was nothing to write home about. I stared at what had come out of my body through the coffee enemas and cried. I’d had no idea the rot I’d been carrying around in my body- all that time! It was no wonder I’d been that sick. Within just days of using coffee enemas I felt significantly better. So too were the pain and fatigue I’d felt most of the time. I felt lighter- something many of my clients say they too experience after just one coffee enema treatment. Within a month of using the coffee enemas and religiously sticking to my detox diet, my skin had cleared, I’d lost an incredible amount of weight (without even trying) and, every digestive problem I’d battled with, for five years, was gone. I felt the best I had in years! Due to being sick for as long as I’d been, I had been depressed often. After my detox though, I no longer struggled with feelings of anxiety or depression. A year before my detox I’d undergone numerous rounds of fertility treatments- none had worked. 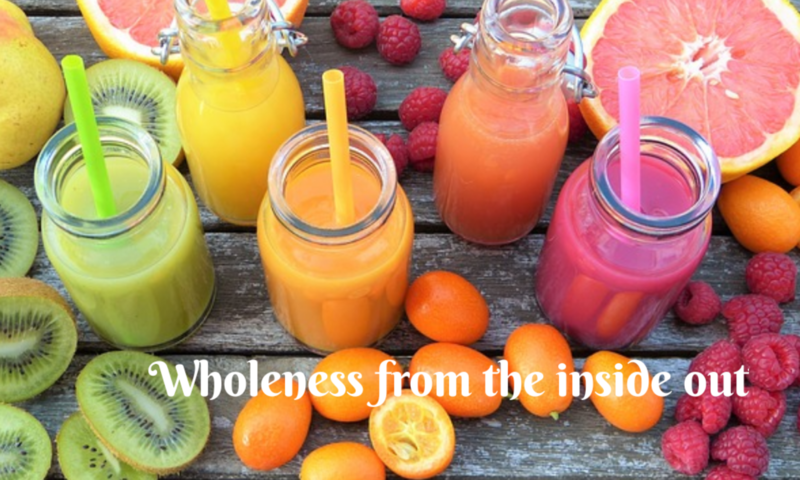 When I begun my detox journey I came across research cited by Nutritional Medicine Guru Dr Lawrence Plaskett which showed that among women who underwent IVF treatment to fall pregnant, 25% of them were successful. Among the women who underwent a holistic health and nutrition program 75% of them fell pregnant naturally. For years I’d wanted to share my story and teach others what I’d learned about Body Detoxing. That was until my husband got gravely ill and then got better using what I’d learned about Body Detoxing. When I saw that I knew I’d waited long enough. My husband and I had decided to detox because he’d had a double infection that conventional medicine had failed to treat. After a round of antibiotics, instead of showing improvement, my husband was worse. He decided to try my detox. I encouraged him by joining him on a 7 day coffee enema/juicing only cleanse. When he started to eat on day 8 I encouraged him to eat only nourishing foods that enabled the body detox process to continue. By day 9 of his detox he was fully recovered, not only from both infections, but he’d also cut intake of all his chronic medication to less than a third. I’m the woman who faced being on chronic medication. I’m also the woman who, for years, cried herself to sleep because my dream of being a mom seemed out of reach. Today I’m medication free. And I’m mom to three beautiful children. In the photo below I was pregnant with my youngest son. Today I’m blessed to not only be enjoying my health and the wonder of being mom to these incredible human beings- I also get the privilege of teaching and sharing with others what Body Detoxing can do for their health. Please note: This program is not recommended for pregnant or breastfeeding moms.